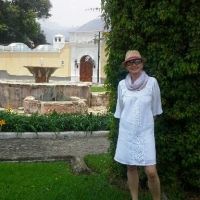 Antigua Guatemala City Tours and Local Experiences from Local Guddy Antigua is the town of evocative beauty and its ruins inspire awe and wonder, mystery and intrigue. Antigua preserves its ruins and treasures its historical, cultural and unparalleled architectural appeal. Join me and I will take you to the known ruin sites, as well as to the hidden gems unknown to tourists. I offer 4 tours in the 4 distinct parts of Antigua. I recommend you choose the tour in the part of town where you are staying. 📌Central part of Antigua, around the Central park. 📌Southern part of Antigua, to the South of the Central park. 📌Northern part of Antigua, to the North of the Central Park. 📌North-west part of Antigua, to the West of the Central Park. Each tour includes 5-6 sites. We will stop at each ruin where I will introduce you to its origin and history, stories of important events and personas of Spanish colonial period in Central America. Entrance fee to the riuns that charge admission is not included. You might choose to return to a particular ruin later on. Important notes: ⚠️The pace of the tour is leisurely walk. ⚠️I will lead by the hand... but you will do the walk! Therefore, you'll want some comfortable walking shoes for the cobblestone streets and a sunhat would be a good idea, too, and of course, don’t forget your camera! ⚠️The sidewalk surfaces and materials composition are uneven and change from building to building with numerous opportunities to trip or slip. You also share the sidewalks with signposts, lampposts and window balconies. Thus, we will walk carefully! I am excited to hear from you! Planning a travel to Antigua Guatemala? Login to create your trip plan so the guddies can offer you their tours! There are no travelers coming to Antigua Guatemala yet.